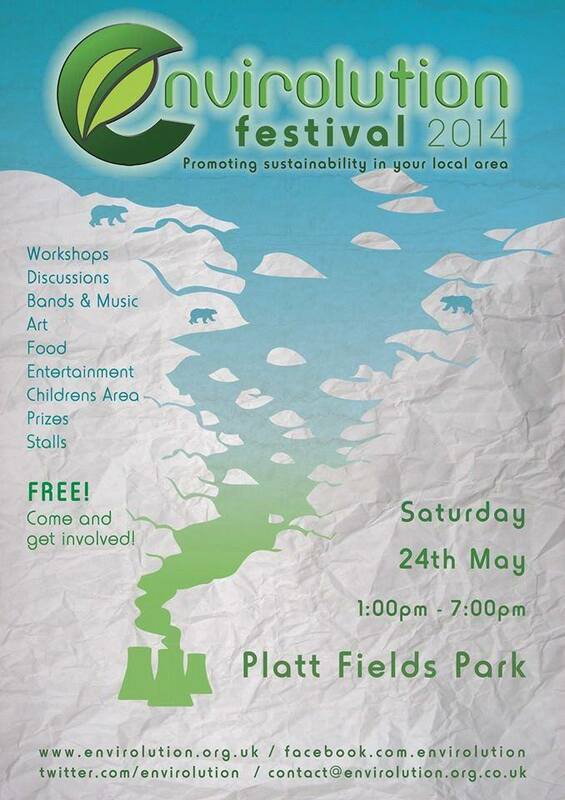 Manchester’s annual Envirolution Festival will be held in Platt Fields Park on Saturday 24th May from 1.00 until 7.00 pm. The Envirolution festival will be situated in and around the Platt fields Park Eco Garden and it will be a day full of fantastic live music, theatre, workshops, discussions, family fun, food & drink, and lots of stalls to browse. This entry was posted in Activities and tagged discussions, Envirolution Festival 2014, family fun, food & drink, live music, Platt fields Park Eco Garden, Saturday 24th May, theatre, workshops by tamesidegreens. Bookmark the permalink.